MOON TOWNSHIP — Three, two, one… jump! 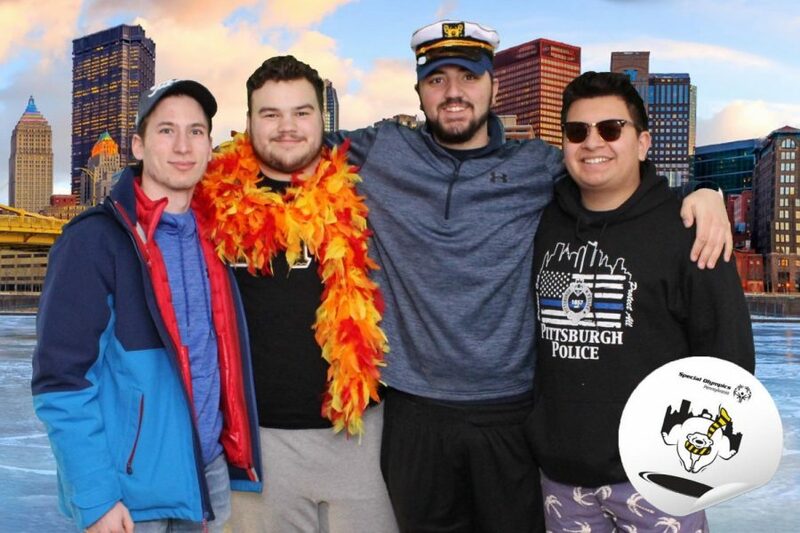 The Sigma Tau Gamma fraternity at Robert Morris University is hosting their own version of the well known “Pittsburgh Polar Plunge,” with the intentions to benefit the same cause. 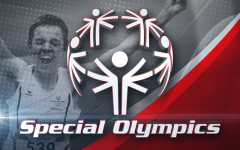 Brothers from the Greek Life organization at Robert Morris University are aiming to raise over $1,000 for Special Olympics Pennsylvania. 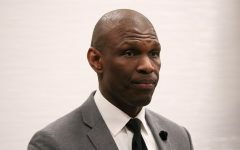 Director of community engagement at the fraternity, Christian Rogers, said this is the first time that any event of this kind will take place at Robert Morris. The event, which will take place on March 30 from 10 a.m. to 2 p.m., will be hosted on the Nicholson front lawn. Getting the school on board was not initially an easy task, according to Rogers. Safety of all participants is a big priority. Finding the perfect place for the 40-inch deep and 12-foot wide pool was another task the fraternity brothers had to tackle. 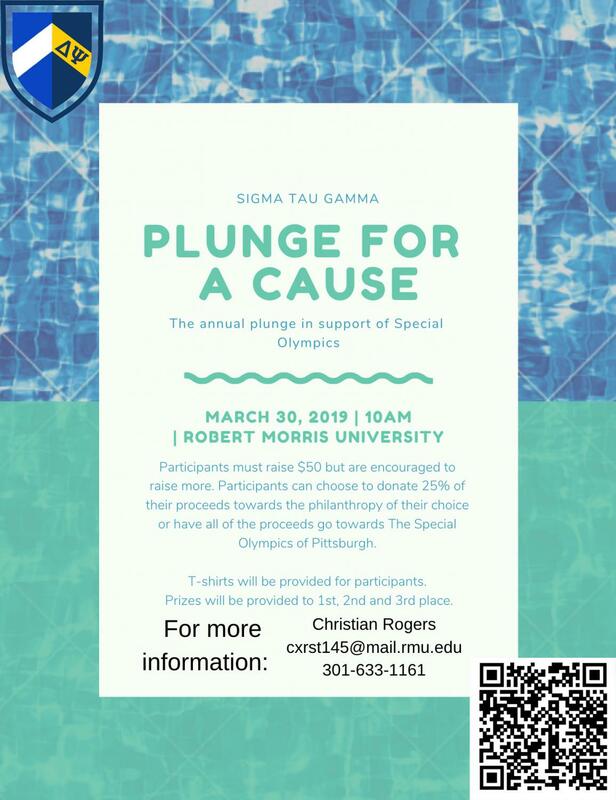 This is the first time the brothers of Sigma Tau Gamma will be hosting a polar plunge event, but this is not their first time plunging into freezing cold water, all for a good cause. The brothers participated in the official Pittsburgh Polar Plunge at Heinz Field earlier this year to benefit Special Olympics Pennsylvania. 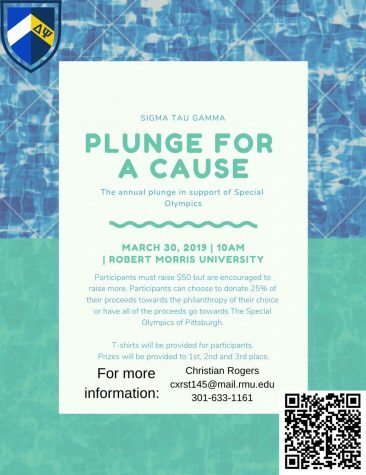 The Sigma Tau Gamma polar plunge will be more than just jumping into a pool of cold, springtime water. 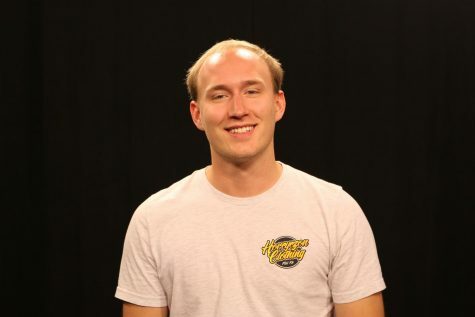 Rogers says the fraternity is working to get a pop-up walking taco shop or a food truck to help feed the hungry plungers not only just from RMU, but around the Moon Township community. Everyone is invited to come to participate, watch, eat and donate. Fraternity brothers even want professors and other university members to join for the cause. The Sig Tau Plunge for a Cause event is presented by the Fraternal Order of Police and sponsored by Smokestack, Sheetz and Chick-fil-a. 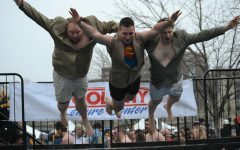 In order to be able to plunge, participants must raise $50. Included in the plunge is a T-shirt and prizes for the top three plunges. Those that was to raise money or donate can do so without plunging. Money can be raised for other teams or donated through the Sigma Tau Gamma website. To sign up to participate in the plunge, visit the sign-up form. If you would like to donate or learn more about the event, visit the Sigma Tau Gamma website.